#0368 - The Charms of Love - Gifford, Edward S.
#2574 - Agricultural Chemistry and the Nature and Properties of Peruvian Guano - Nesbit, J.C.
Serviettes, Dinner Napkins and how to fold them by Georgiana C.Clark, 36pp with 100 illustrations. 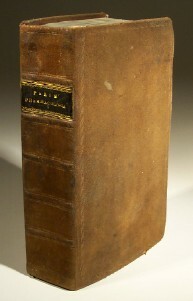 Fifth edition published by W.Phillips, London 1822 in two volumes bound in one. The art of prescribing upon fixed and scientific principles together with the history of medicinal substances. Volume One vi+viii, 448pp including index. Volume two 464pp plus index.